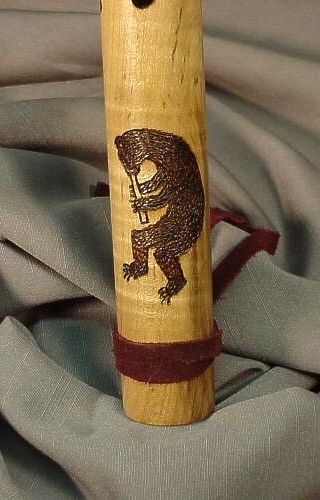 This is the result of an e-mail from someone looking for a Native American style flute that combined a kokopelli and bear motif. 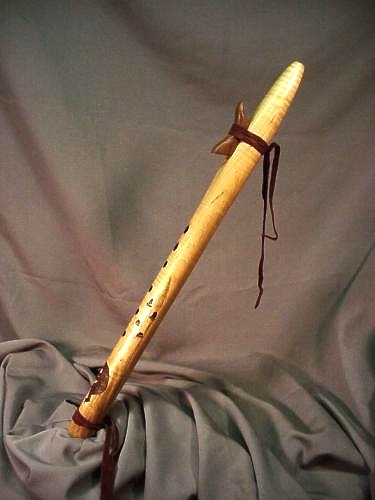 It's carved from spalted curly maple, has a 1-1/8" bore and a very low voice. Be sure to scroll down for more views.